German forces launch the first of two cloud gas attacks on British troops south of Hulluch in northern France. The attack results in 550 British casualties. 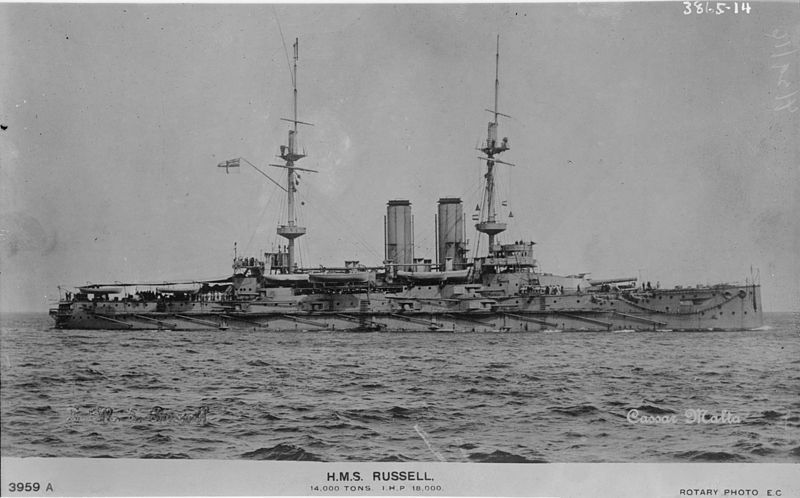 British battleship HMS Russell strikes two German mines as she leaves Malta Grand Harbour for Cattaro. 126 sailors die; 625 are rescued. 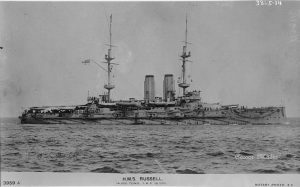 HMS Russell. Image courtesy Library of Congress. This entry was posted on April 27th, 2016.